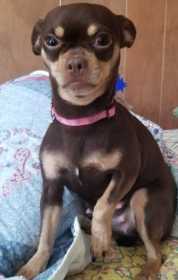 Dark brown with tan markings. Very friendly. We miss her.